'Till today, the RSS only speaks of Hindu Rashtra but never explains what it means. It cannot, because it would be unacceptable to even a majority of Hindus, forget the Indian Muslims and Christians,' says Aakar Patel. Any theocratic State can be built only on the principle of exclusion. In Islamic States, the application of Shariah law for crimes is one part of the State's theocratic face. Corporal punishment was the norm across the world in a time when there were no jails. And so beatings, amputations, stoning and beheadings may seem barbaric to us today, but they were a commonplace in the world of the 7th century AD. The other part of this face is exclusion. In Pakistan no Christian can become prime minister and no Sikh can become president according to the constitution. In this instance the religious State expresses itself through its identification and treatment of minorities as being different from the general population, who are the ideal citizens. When Liaqat Ali Khan began work on the Pakistani constitution this was not the case. The exclusions came in with Ayub Khan and Zulfikar Ali Bhutto, but there is no Islamic state from Iran to Saudi Arabia, where this principle of exclusion of non-Muslims, has not become a founding principle. A few days ago Nepal's lawmakers voted against an amendment proposal in a draft of the country's new constitution to declare the Himalayan nation a Hindu State. In Kathmandu protestors demanding restoration of the monarchy and the status of 'Hindu Rashtra' clashed with police. Many Nepalis believe their kings were reincarnations of Shri Vishnu, and they support the restoration of the monarchy. Nepal is a secular nation today by constitution, but it was a Hindu State for centuries until the abolition of the monarchy. Since this Hindu Rashtra demand is also made in India by the Rashtriya Swayamsevak Sangh and many in the Bharatiya Janata Party, let us explore its contours to see if it is also exclusionary. What did I mean by this? I meant, of course, the introduction of caste in the Hindu Rashtra. We can see its Hinduness as coming from two aspects. The external aspect is what we are focussed on in India because that is the RSS worldview. Its idea of Hindu Rashtra is developed to exclude Muslims and Christians. In Nepal, it was internal, meaning it was focussed on a Kshatriya king. That is what made it a Hindu State. But it was insufficiently Hindu. Manusmriti also prescribes the position of other castes, not just the monarch. When Kshatriyas rule, Brahmins teach and Vaishyas trade. Shudras do the labour and the Untouchables are on the periphery. The castes cannot encroach on one another's areas, and this is the ideal Hindu Rashtra according to our texts. The exclusion in this instance comes from denying groups of Hindus access to money and education and power. The Islamic State excludes the non-Muslim. The Hindu Rashtra first excludes the non-Hindu and then excludes even within. This is the only reason why the idea of Hindu Rashtra has not caught on in India though most Indians will be unable to identify what the secular aspects of our Constitution are. This is also the reason why, till today, the RSS only speaks of Hindu Rashtra but never explains what it means. It cannot, because it would be unacceptable to even a majority of Hindus, forget the Indian Muslims and Christians. In Nepal also, only 21 members of the 601-person constituent assembly voted for the right-wing Rashtriya Prajatantra Party's return of the king. 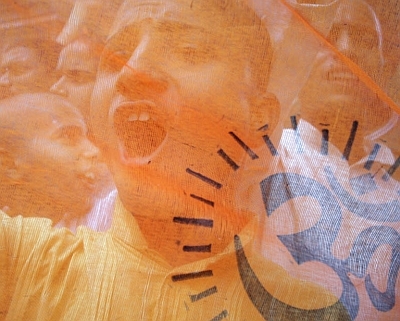 In India, it would be impossible to gather support once the details of a Hindu Rashtra were made clear. To me the best argument against a Hindu Rashtra was made by the Dalit activist and writer Chandrabhan Prasad. In the golden age of Hindu Rashtra in India, he said, Brahmins were in charge of learning, and see the state of India's education. Kshatriyas were in charge of defending Bharat Mata, and it was colonised for centuries. Vaishyas were in charge of the economy and we are one of the poorest nations on earth. Hindu Rashtra produced no good for Indians. You can read more of his columns here. Image published only for representational purposes.